Hotel Horse Country Resort Congress & SPA, Arborea. Horse Country Resort Congress & SPA Hotel Arborea. Horse Country Resort is a splendid structure, perfect for those who want to spend a relaxing and charming stay in Sardinia. The hotel lies in the west coast of the island, immersed in a century-old pinewood in an ecosystem with pink flamingos and rare and dying species. This marvellous structure overlooks the sea and lies close to long beaches of fine and gilded sand. Near the hotel there are: the Poseidonya Spa, specialized centre in thalassotherapy and algo therapy, an Equestrian Centre of international prestige and the Congress Centre. The Horse Country Resort places at its guests' disposal the best comforts and services, in order to make their stay in Sardinia as pleasant and relaxing as possible. 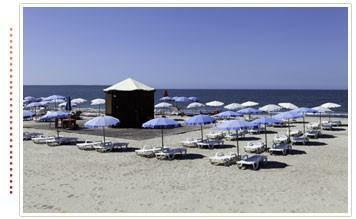 The hotel is provided with several bars and restaurants, some of them open seasonally. During the summer months our entertainment staff proposes splendid activities, like: play, tournaments, common lessons of several sports and parties. In the evening our guests can enjoy pleasant show in the outdoor amphitheatre or piano bar. The Club card is obligatory and for money from 09 June to 07 September 2018 (from 5 years). It offers numerous services, like: the use of the swimming pool and the beach equipped with beach mattress and umbrella, day activity with lessons of tennis and archery, group dance, Mini club (from 5 to 11 years ) and Junior club (from 12 to 17 years).